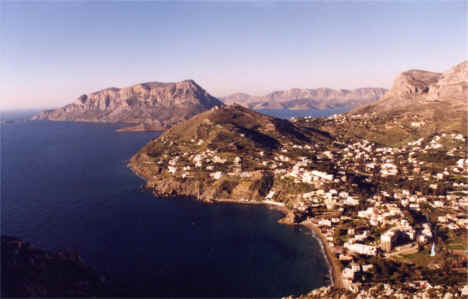 Kalymnos island is situated in the southeast of the Aegean Sea, in the Dodecanese, between Kos and Leros. It is populated by 16000 people. Their main occupation is agriculture, livestock-farming but mainly shipping. It is a rocky island with high mountains but also beautiful beaches. The combination of natural beauty, the hospitality of the residents and its tradition make it attractive to tourists. Entering the harbour you'll see many fishing boats anchored along the gulf. 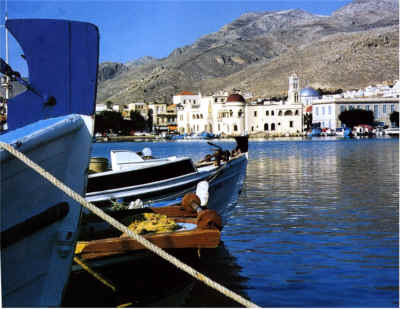 Kalymnos has the largest number of fishing boats in Greece, as it is the sponge-divers' island, a tradition that is characteristic of the island until today. 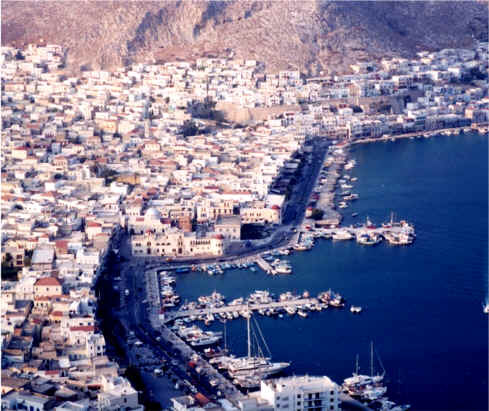 The capital city, Pothia, is built amphitheatrically between two mountains. 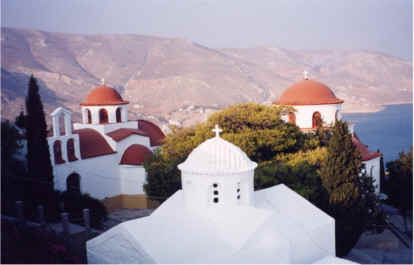 The church of Saint Savvas dominates the left side of the city. 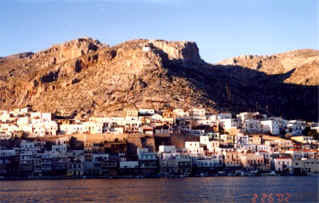 He was a monk that became a Saint in Kalymnos. 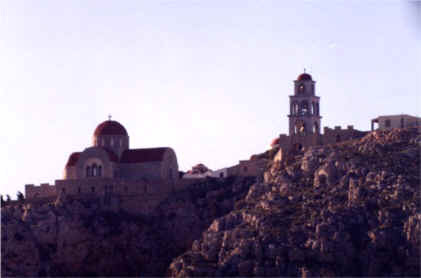 There is also the monastery of Resurrection. In the city you can see the Port Authority building, the grand Temple of Saint Nikolaos, who is the seamen's protector, the old Italian buildings where the Sub-Prefecture resides and the Town Hall, the Cathedral, the Marine Folklore Museum and Vouvalis's chapel.